Why did the moose cross the road in Kootenay National Park? …….. To get to the other side—if it can. It is not easy being an animal in the mountains. To find food, connect with a mate, or rear their young, animals need to move between patches of habitat through a landscape that is pinched by rivers, rock, ice, and predators. 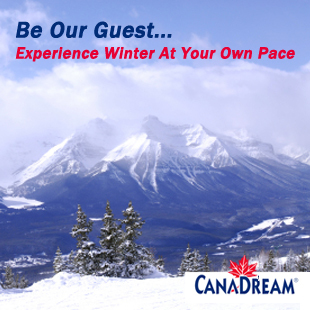 Unlike us, wildlife live here year round. As they move between winter and summer ranges their routes often cross a busy highway. Kootenay National Park is a highway park. It was created in 1920 as part of an agreement between the federal and provincial governments to build a road across the central Rockies. But highways and animals don’t mix well. In the decade between 2002 and 2012, 500 large animals were killed and many others injured in wildlife-vehicle collisions in Kootenay National Park. These accidents also endanger people. Highways change animal behaviours and alter ecosystem health. Commonly seen animals, like deer, are attracted to roadsides that provide forage and easy travel. But wary species, such as wolves, grizzlies, and wolverines are reluctant to approach and cross roads. With time, populations can become isolated from each other and from vital habitat. How can we improve highway safety and reconnect habitats? Fortunately there is a solution. Parks Canada built 38 underpasses and six overpasses in Banff National Park from 1983 until 2013. The crossing structures work! Fences keep animals off the Trans-Canada Highway while crossing structures stitch together habitats. They are being used by all species. Wildlife-vehicle collisions have been reduced by about 80% for all species and by 96% for deer, elk, and moose. Kootenay is applying the lessons learned in Banff National Park to make Hwy #93 South safer. In 2013, three wildlife underpasses and 4.7 km of fencing were built in a high collision zone by the Dolly Varden Day Use Area. In August 2014, the Government of Canada announced an additional $9.6 million in investment for phase two of the Kootenay Wildlife Crossing Project that will support construction of at least four wildlife crossings and approximately 6.5 km of further fencing along this busy highway in 2015. Funds earmarked for this project are part of a multiyear, agency-wide investment to achieve tangible conservation outcomes while connecting Canadians to nature as part of our National Conservation Plan. Parks Canada is monitoring how animals are using the new crossing structures that will inform further mitigations and help make future highway travel safer for all animals— including humans. This spring, a new exhibit about crossing structures will be installed inside the pedestrian underpass at the Radium Hot Springs pools. 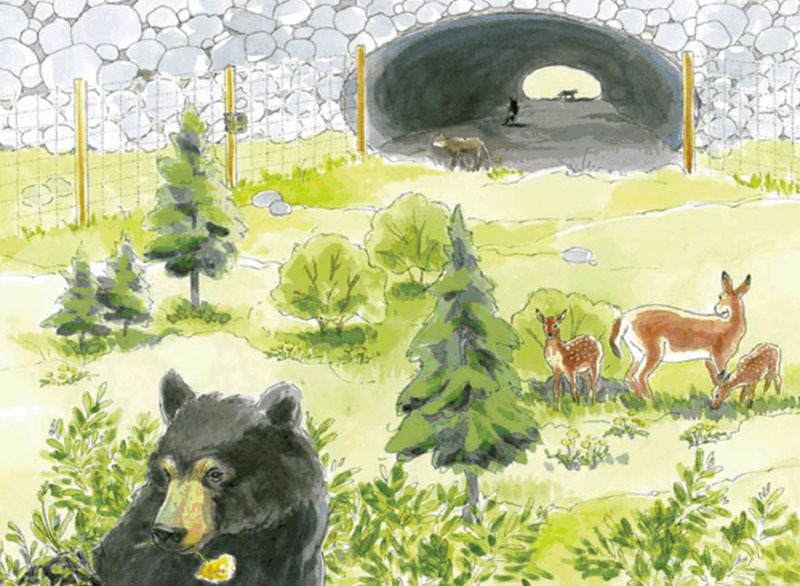 Follow the walking animal silhouettes under the highway to learn how moose, wolves, bear, and other species are crossing the Kootenay valley in safety. Occasionally, an animal gets into the highway right-of-way. To allow it to escape, gaps have been left in the fence with jump outs.